I never buy anything these days without checking that at least two bloggers would recommend it, and this is on of those things I picked up after bloggy research. 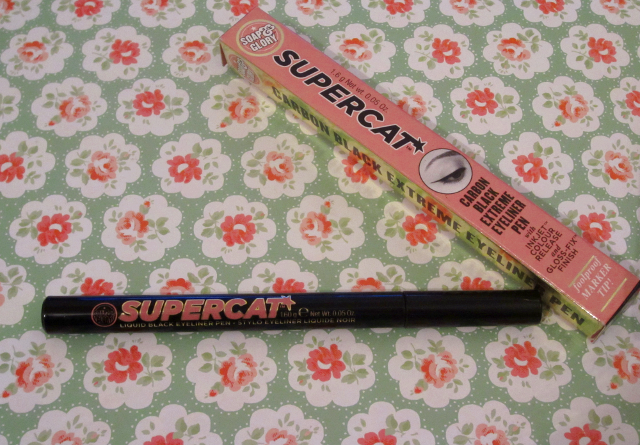 I bought this to be a daily eyeliner, and it does the job. First of all, I tend not to use this product without primer. 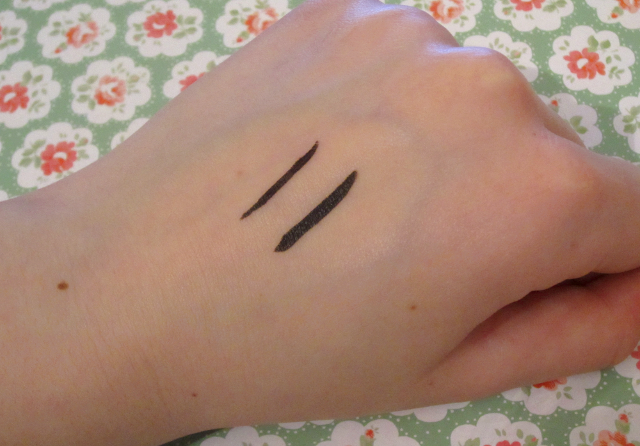 You can't really see from my swatches but using a primer brings out a much deeper black in the eyeliner and increases its staying power. 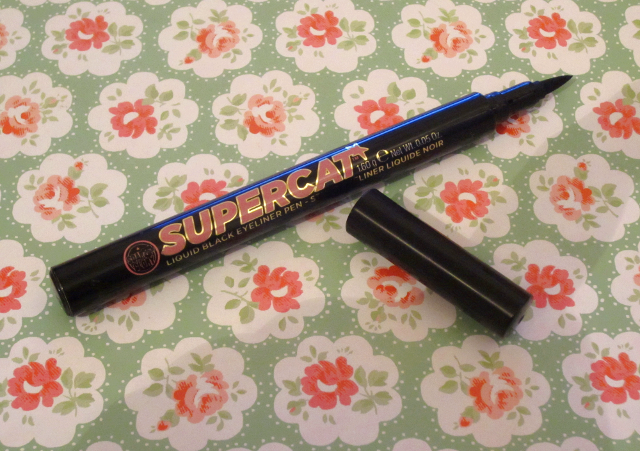 This is the only felt tip style liquid eyeliner I like, it's so easy to use, makes eyeliner application really quick, gives an opaque black most felt tip ones don't give; and, as the name suggests, is really good for doing a cat eye too. 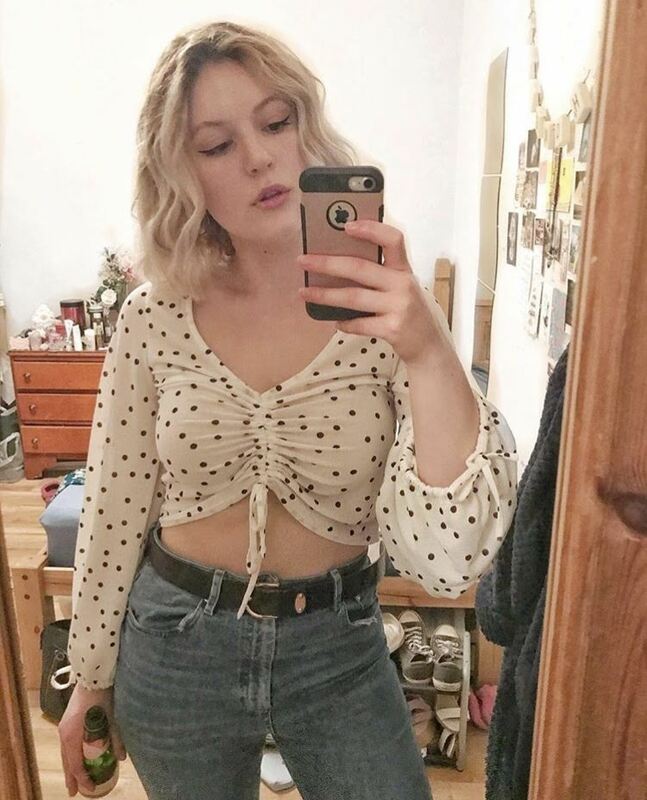 Such a shame it's not longlasting, it looks nice on! Oh man, I hate it when stuff smears! I do like how it's a full size pen - that would make it easier for me to maneuver! I am the same when it comes to beauty, I always check out the reviews on makeup alley. Especially if I am making an investment in expensive make up. I am yet to try any soap and glory products. I like the sound of their eyebrow pencil (archery I think it's called) but they are always sold out or open in Boots!